This semester, one Trojan has taken the adage “better late than never” to a whole new level. 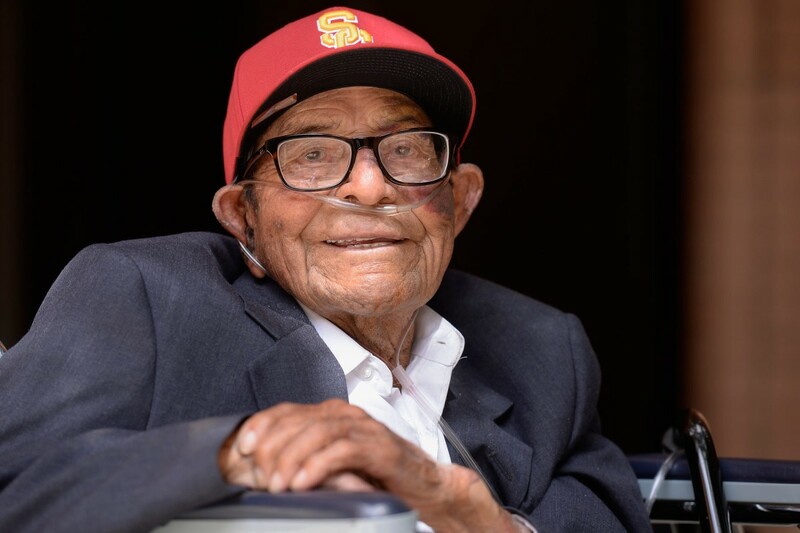 On May 13, 96-year-old World War II veteran Alfonso Gonzales will become the oldest graduate in USC history as he receives his Bachelor of Science degree in zoology, which he began in 1947 as the first person in his family to go to college. 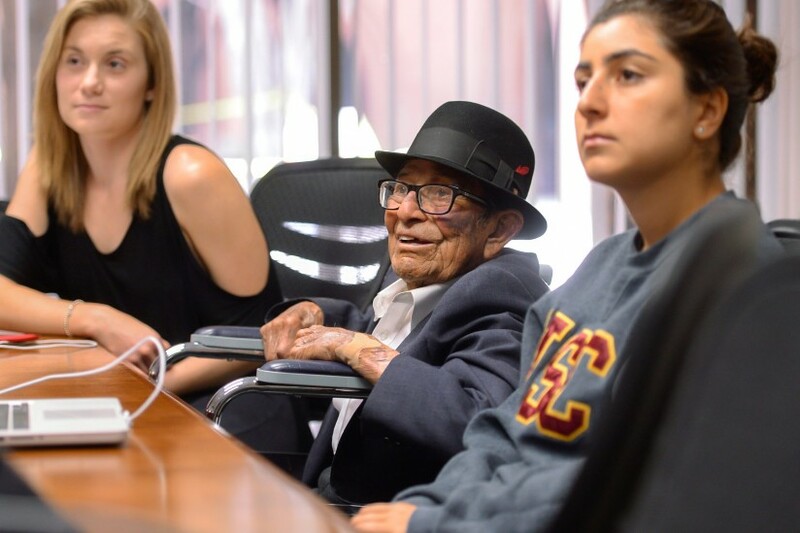 For more than six decades, Gonzales thought that he was already a graduate of what is now the USC Dornsife College of Letters, Arts and Sciences, he said. His name had been included on the list of students eligible to participate in commencement exercises in 1953, but he hadn’t taken part in the ceremony because of work obligations. But when his family members approached the university about getting a copy of his diploma, they were met with surprising news. “I was one unit short,” he said. However, Gonzales wasn’t about to let technicalities — neither his missing credit nor the fact that the zoology major no longer exists at USC — stop him from getting the degree he had worked so hard for decades earlier, said his nephew, Mario Gonzales. “He just said, ‘I’ll do whatever USC says I need to do to get my degree,’” he recalled. 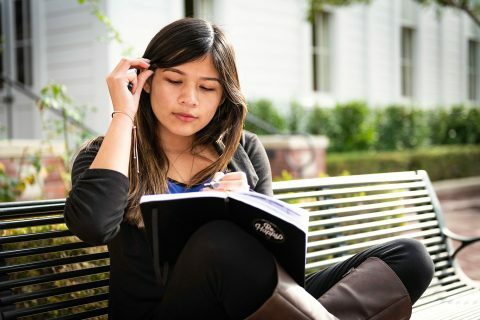 Once he learned of Gonzales’ unique situation, USC Registrar Frank Chang approached the USC Davis School of Gerontology about using its expertise in working with older adults to help Gonzales finish his bachelor’s program. 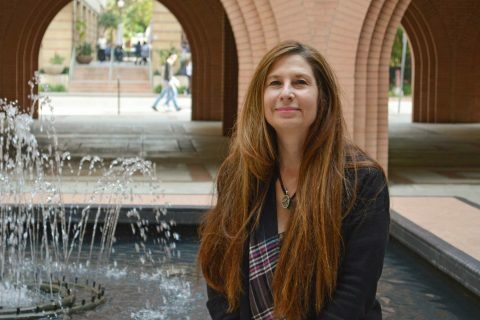 He asked if a one-unit course — designed to be as substantive as any other USC course but tailored for Gonzales’ life experiences and needs as an older student — could be created. 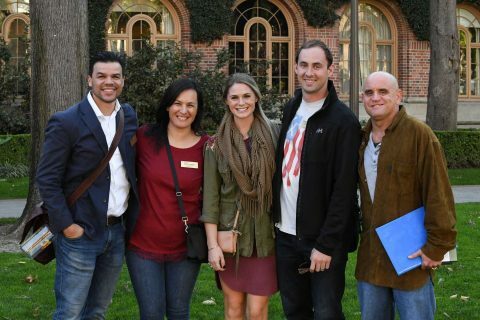 USC Davis Instructional Assistant Professor Aaron Hagedorn answered the call, crafting an independent study course examining autobiographies and how the stories people tell others about themselves change throughout the life span. During the spring semester, Hagedorn met with Gonzales weekly, gave him reading and video assignments and arranged his visits to other gerontology classes. Hagedorn said Gonzales has been a diligent, dedicated student who was always prepared and enthusiastic for class. The experience of working with Gonzales, he added, has improved his own understanding of older adult learners. Pinchas Cohen, dean of the school, praised Gonzales’ commitment to finishing his education and willingness to be a role model for lifelong learning. What he’s doing is setting an incredibly positive example for other older adults in America and around the world. 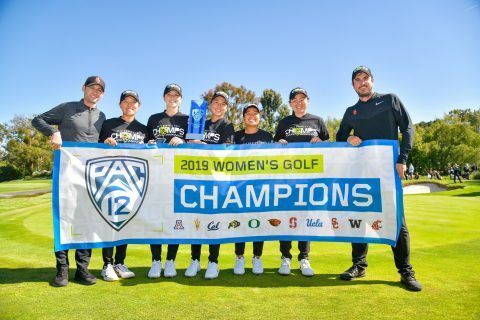 Chang added that Gonzales has been an inspiration to all members of the Trojan Family. To mark the occasion, USC’s zoology major has been reopened to allow Gonzales to receive the original degree he began work toward so long ago. Gonzales is currently finishing his final assignment for class, a short senior thesis paper exploring several turning points in his life. His humble demeanor belies the extraordinary determination, hard work and devotion to his family he’s exhibited throughout his life. Born January 23, 1920 in Lompoc, Gonzales spent most of his youth in Hermosa Beach, and he still resides there in the house he’s lived in since 1938. At USC, he shared several fascinating stories from his youth, including driving his first car — a Ford Model A — and meeting artist Simon Rodia in 1932 as he collected scrap tile for what would become the Watts Towers. He graduated from Redondo Union High School in 1939, and in November 1942 he joined the Navy, where he received hospital training and first became interested in pursuing medicine as a career. Transferring to the Marine Corps in 1944, he received further training in field medicine, which he used when he was deployed to Japan in 1945. He treated wounded on the battlefield as part of World War II’s largest amphibious assault in the Pacific. “I was just an ordinary GI; I wasn’t a hero or anything,” he said of his time in the military — despite the disagreement that might have come from the many wounded individuals he treated. Discharged in November 1945 at the rank of pharmacist’s mate second class, Gonzales returned to Southern California and began pursuing his higher education goals. He attended Compton Junior College (now El Camino College Compton Center) before transferring to USC. 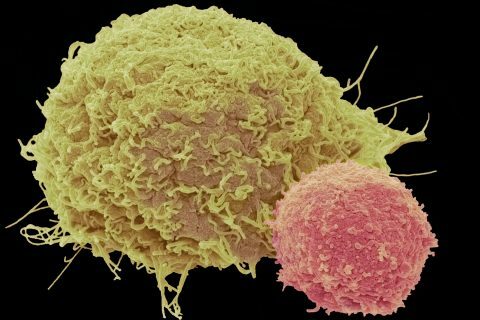 Gonzales majored in zoology as part of his initial plan to eventually apply to medical school, and he vividly remembers the science courses he took as well as other classes. But like many students, his career goals changed direction during his time at USC. During his final year at USC in 1953, he went into the soil business and started Compo-Loam, providing a proprietary planting mix of soil, compost and other nutrients to homes and nurseries. Gonzales ran Compo-Loam for 55 years until he retired in 2008 at age 88. Over the decades, the family business grew, and he became so knowledgeable about soil in the South Bay that he could eventually identify where a soil sample was collected just by looking at it. Now Gonzales is the eldest member of a family with five living generations; the youngest member of the family is his 2-year-old great-great-great niece, Iris. While he never married nor had children, his intelligence and determination have been inspirational for extended family members, said Gonzales’ grandniece Dorinda Geddes. Mario Gonzales said the independent study course has been wonderful for his uncle and the rest of the family, as his elder shares more memories and prepares his short autobiography. When he returned to USC this year, Gonzales took a tour of the campus with Hagedorn. Much has changed over the last few decades, but he said he was able to recognize several landmarks, including Tommy Trojan, the animals on the façade of the Hancock building, Doheny Memorial Library and more. He’s enjoyed telling the students he meets about how USC and its student body looked in the late ’40s and early ’50s. During his campus visits, he likes to wear a coat and hat that he wore during his earlier days at the university; he added that a tie was also required for men back then, while women had to wear skirts well below the knee. He also brought his original leather school bag, though he admits he lost the key sometime in the 60-plus years since he first used it. And Gonzales has entertained students with tales of campus pranks, though he’s adamantly maintained that as a commuter student who wasn’t on campus as often as others, he didn’t take part in any of the mischief himself. One of the changes he’s noticed is the dramatically higher number of women on campus, he said. Following that comment, he asked Hagedorn whether women now make up a majority of the student body. When Hagedorn replied in the affirmative, Gonzales grinned, nodded and lifted a “Fight On” gesture into the air. 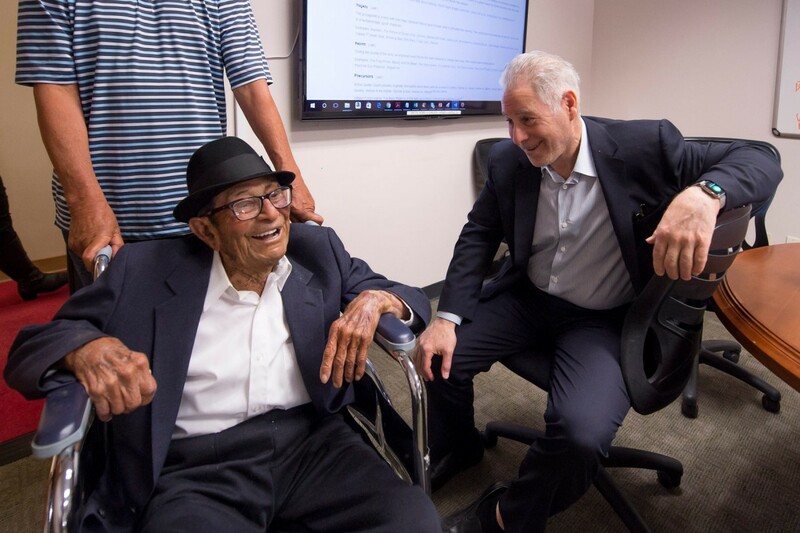 As he visited classrooms and chatted with students several decades his junior, Gonzales has spoken about his health, lifestyle, his family’s history of longevity and outlook on life. 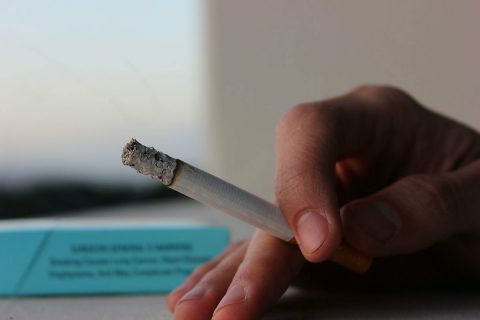 “I did make one mistake in life: I smoked too much. My advice is don’t smoke,” said Gonzales, who kicked his tobacco habit in 1980 after 40 years of smoking but was diagnosed with chronic obstructive pulmonary disorder in 2014 at age 94. Remarkably, he has no other major health issues, still exercises regularly, lived alone as recently as 2013 and still maintains a very sharp mind. “For the way I eat, I like to quote Benjamin Franklin: ‘Eat in moderation and do not drink to elevation,’” he added. Beyond health advice, he’s also offered words of encouragement to each of the younger members of the Trojan Family he met. When he’s not studying or spending time with his family, one of Gonzales’ favorite pastimes is reminiscing. Finishing his degree with the course in guided autobiography has not only provided him with more insight about how to share his story with others but has also given him even more happy memories to appreciate, he said.